Danielle had thrice as many sweets as Priscilla. 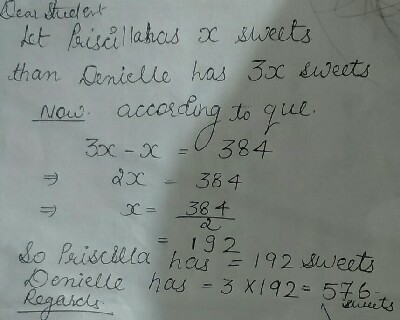 Priscilla had 384 fever sweets than Danielle. How many sweet did the both girls have?